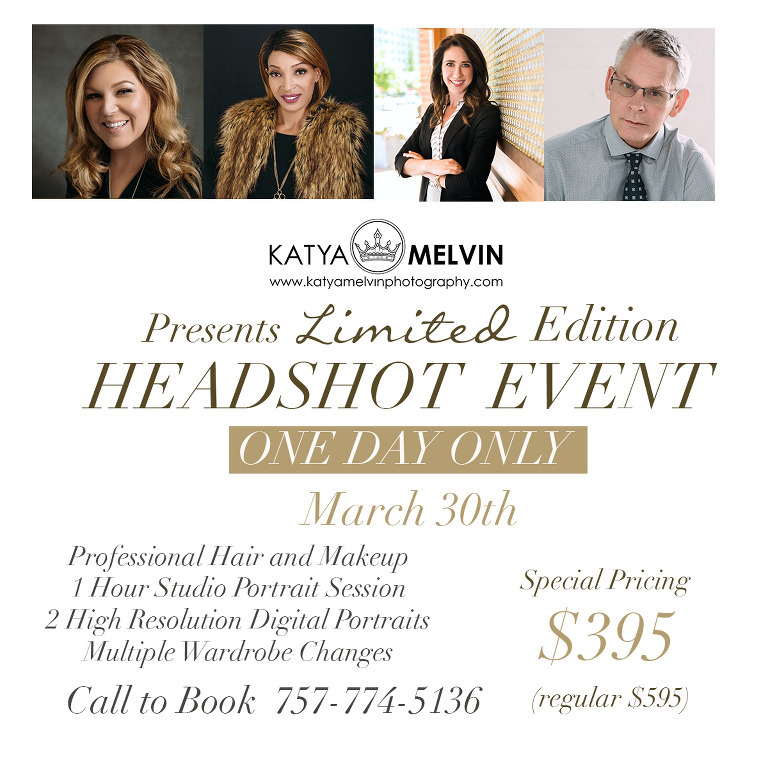 Limited Edition – Head shot Event » Katya Melvin is a Hampton Roads portrait photographer based in Norfolk VA specializing in glamour, high school seniors, boudoir, bridals, headshots and artistic photography. Please fill out the form below to put your name on the list. All inquiries will be responded via email and we will provide further instructions on how to book your spot.